In the design of a hypersonic airliner that can considerably shorten the flight time, how to accurately predict the vehicle’s aerodynamic heating loads is of great significance. 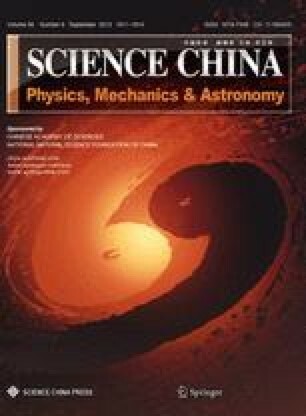 In this study, a new shock-stable flux scheme called the simple low dissipation advection upwind splitting method (SLAU)-M1 is proposed for the prediction of hypersonic aerodynamic heating load. Based on the construction of the SLAU scheme for low-speed simulations, SLAU-M1 improves the robustness of the mass flux against shock instability. After validating the code employed, several numerical test cases are conducted. The one-dimensional (1D) sod shock tube case and the two-dimensional (2D) inviscid NACA0012 airfoil case show that SLAU-M1 features a high level of accuracy at both low and high speeds. To simulate the hypersonic viscous flow over a blunt cone, we adopt different aspect ratios (ARs) of cells near the shock. The results suggest that SLAU-M1 is much less sensitive to the AR of cells near the shock in predicting hypersonic aerodynamic heating loads. Moreover, the findings show that the theoretical value is considerably better than that of the other schemes. The hypersonic viscous flow over a 2D double ellipsoid case and that over the Hypersonic Flight Experiment vehicle case also indicate that SLAU-M1 exhibits a considerably high level of accuracy in hypersonic heating predictions. These properties suggest that SLAU-M1 promises to be widely used in the accurate prediction of the aerodynamic heating loads of hypersonic airliners.